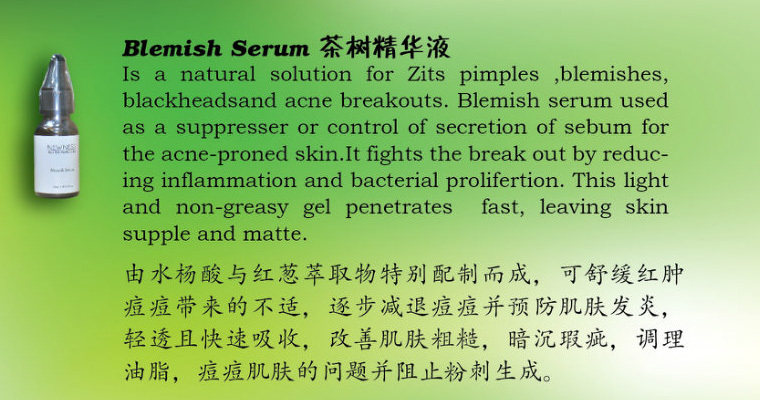 Blemish serum is a nature solution for Zits Pimple, Blemish,Blackhead and Breakouts.blemish serum used as a suppresser or control of secretion of sebum for the acnex-proned skin. it fights the "Break-out" by reducing inflammation and bacterial proliferation. this light and non-greasy gel penetrates fast, leaving skin supple and matte.